Vandaag het gesprek met Bernadette Jiwa. In tegenstelling tot meer dan 80% van de gesprekken in deze podcast is dit een aflevering in het Engels. Ik beloof je het is de moeite waard om te luisteren naar deze aflevering. Een paar jaar geleden kwam ik aanraking met haar boekjes. De boekjes en de artikelen in haar blog (iedere maandag, woensdag en vrijdag) geven mij interessante inzichten op het gebied van marketing en merk verhalen. Haar nieuwste boek Story Driven helpt je om je backstory te vinden. Het helpt je om jouw backstory te delen met de wereld waardoor je meer volgers en fans krijgt. Aan het einde van het gesprek helpt ze mij om ook mijn worsteling met mijn purpose onder woorden te brengen. Luister naar de inzichten van Bernadette. 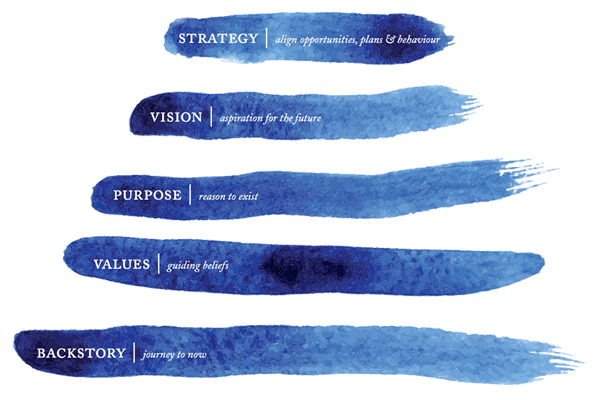 Bernadette is a recognized global authority on business philosophy and the role of identity and story in business, innovation, and marketing. Named by Smart Company as one of Australia’s Top Business Thinkers in 2018, she is the author of seven best-selling books on marketing and brand storytelling. Bernadette advises, consults and speaks with entrepreneurs and business leaders, from startups to Fortune 500 companies, who want to do work they’re proud of and create the future they want to see. Her work takes her from Melbourne to New York (and everywhere in between). I have started to read her books and posts a few years ago. She publishes her short posts with great insights every Monday, Wednesday, and Friday. Her first book that I read was Fortune cookie principle. A week ago I purchase Story Driven, her latest book. The books help me to find my backstory and start to use it. Enjoy some back stories by Bernadette in our conversation. I was a bit nervous about this conversation because I had spent a lot of time preparing the conversation. What I hope to accomplish is that you get to know Bernadette a bit and learn about using the backstory for your business. Enjoy the insights with Bernadette. 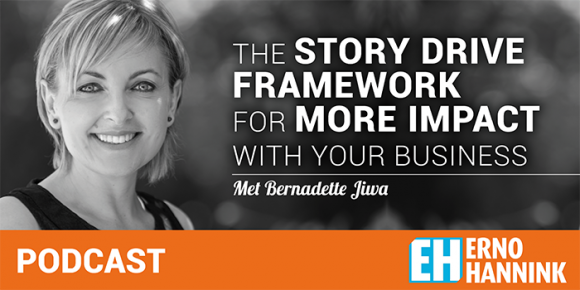 Download the free Story-Driven Framework here. There is some kind of nugget of truth in your backstory which is the reason why you exist and you need to find that. Volkswagen forgot their story and their purpose became to beat everyone else and become number one. A competition driven company which is very reactive to the marketplace and there are story driven companies that are very responsive to customers needs. Story driven companies are winning by bringing joy to people in their company, by giving people meaning full work and still making money. Haar boek Story Driven bestel je hier.